*Disclaimer: I received this wine as a sample. I decided a few weeks ago that it is spring. Regardless of the fact that it snowed in DC in April. It’s spring. I have switched to flip flops and I am stubbornly wearing dresses and short sleeves even though the high was 55 earlier this week. With spring, my mind turns toward bubbles on an mostly daily basis. Sparkling wine and spring make me happy. 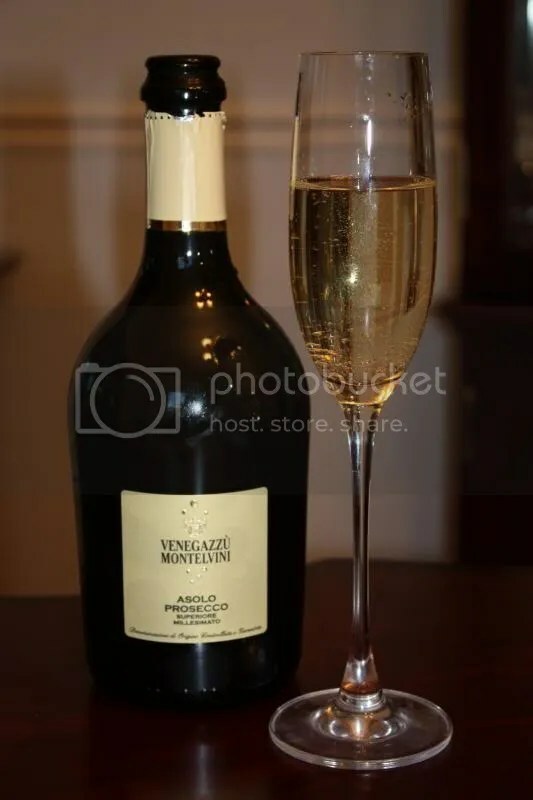 Tonight we tried the Asolo Prosecco Superiore Millesimato Venegazzù Montelvini. The wine has a traditional closure, clocks in at 12% alcohol by volume, and retails for about $15. 1.) This is an extra dry Prosecco, which means it does have some residual sugar. I’m not usually the biggest fan of extra dry sparkling, but it almost didn’t register to me that this wasn’t a brut sparkling until I read the tech sheet. 2.) I chilled this down and drank it as an apertif on the porch. Because I’m classy that way. 3.) Prosecco is one of my favorite non-budget busting sparklers. 4.) I’ve never seen wine in this bottle shape before. I asked the PR guy for the brand and he said it’s called an “Astro” and is designed to fit better in an ice bucket with its squatter shape and short neck. On the nose I got lemon, orange citrus, wax, spice, and apple. In the mouth I found green apple, citrus, melon, and spice. Overall I thought the wine was well done and I was surprised by the acidity given that it is described as extra dry. *Disclaimer: I received this wine as a sample from Natural Wine Merchants. I have been all about the bubbles in the last couple of weeks. It must be the holidays. Picture me singing, totally off-key because I’m pretty tone deaf: “It’s beginning to look a lot like Christmas…. .” Yes indeed, I have the holidays and sparklers on my mind. 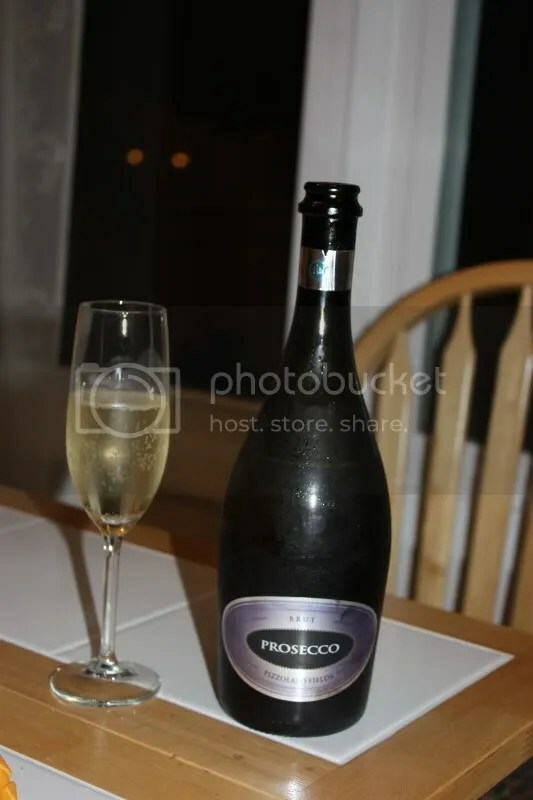 Tonight we tried the Pizzolata Fields Prosecco, which has a kind of cork that was part way in the neck of the bottle and part out…in any case, it took me forever and a day to open the bottle, it clocked in at 11% alcohol by volume, and retails for around $11. 1.) Damn that cork was IMPOSSIBLE to get out. Removing it involved me whining and almost ready to slam the top of the bottle against some bricks. 2.) 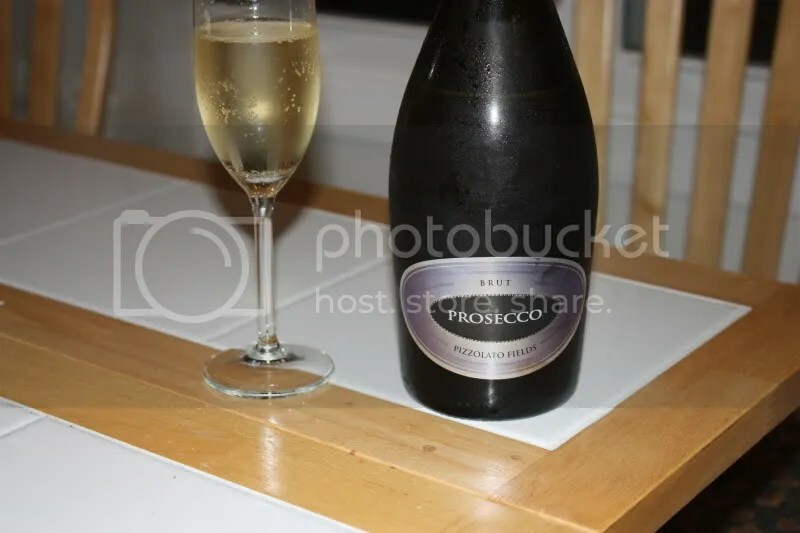 Other than the cork, this was an excellent Prosecco. 3.) $11. Need I say more? 4.) Bready with notes of candle wax and green apples, combined with fine bubbles, which rocks my world. On the nose of the wine I got lemon, green apple, candle wax, and bread. In the mouth I found notes of honey, lemon, and pear. Overall I found the wine to be quite dry with tiny bubbles, though I would honestly describe it as more prickly than bubbly. At the price point, serve it at your next party or with dinner on Tuesday. 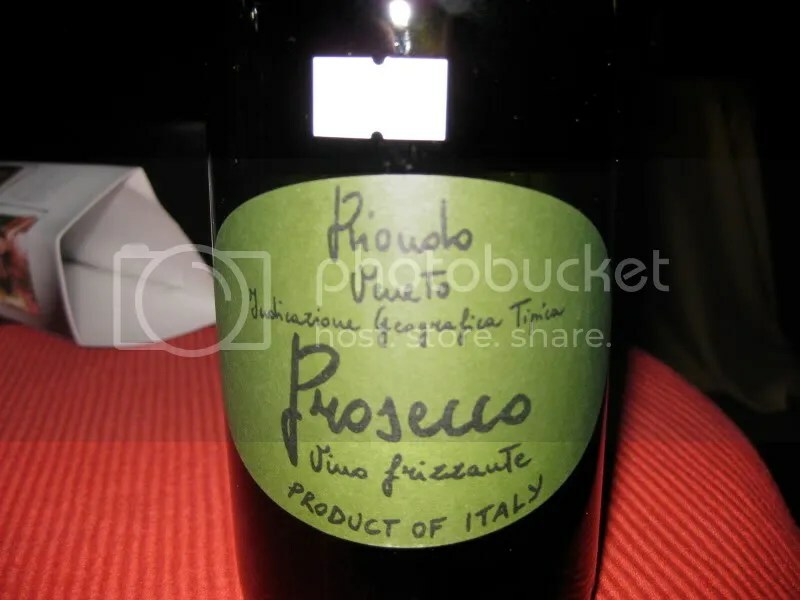 When I think of sparkling wine from Italy, my mind goes immediately to Prosecco. 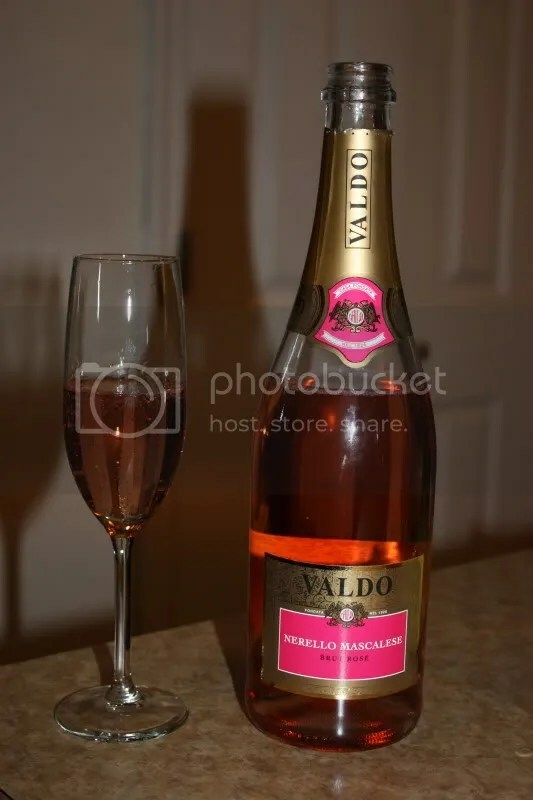 I’m not actually sure that I’ve had sparkling wine from Italy made from other grapes before this bottle, so I was interested to give it a try. 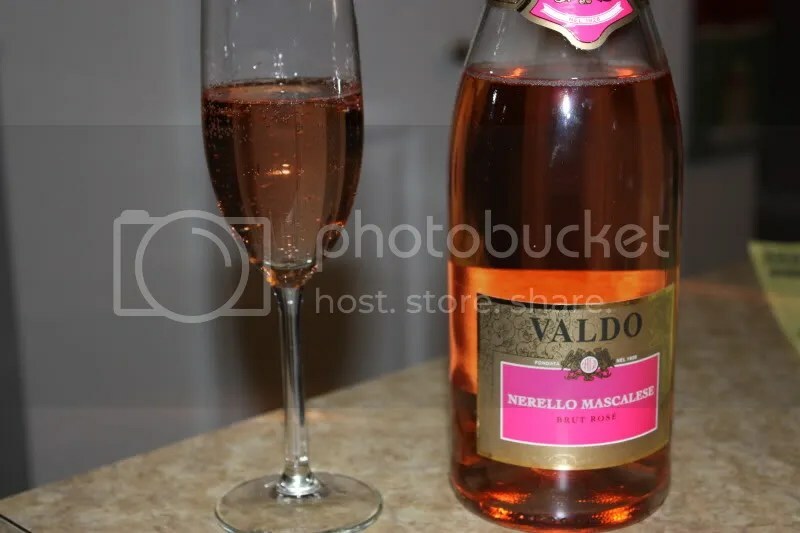 The Valdo Nerello Mascalese Brut Rose is composed of Nerello Mascalese and Prosecco grapes, which makes for something different from the norm. It clocked in at 12% alcohol by volume, had a typical Champagne closure, and retails for between $13-$15. The nose showed strawberry, raspberry, yeast, dough, sourdough, and cherry. I thought the fruit seemed quite vibrant on the nose. In the mouth I got strawberry, cherry, and some floral notes. The palate was less vibrant than the nose, but displayed crisp, clean red fruit flavors and nice acidity, with plenty of bubbles. This is one of those wines I talked about last week that landed me in boring wine land. Boring wine land seems to me the wino’s equivalent of purgatory—being stuck drinking wines that make you think “meh” instead of making you want to dive into the glass and swim around or at least appreciate the wine for being a good value or some such feeling that’s not just “meh.” I find that around the $10-$15 price point there’s a lot of “meh” wine, but there are gems too and that’s what makes me keep plugging away, looking for that inspiring great value well made $10 wine. Of course, I might just be searching for the Holy Grail, but a wino’s gotta dream, right? 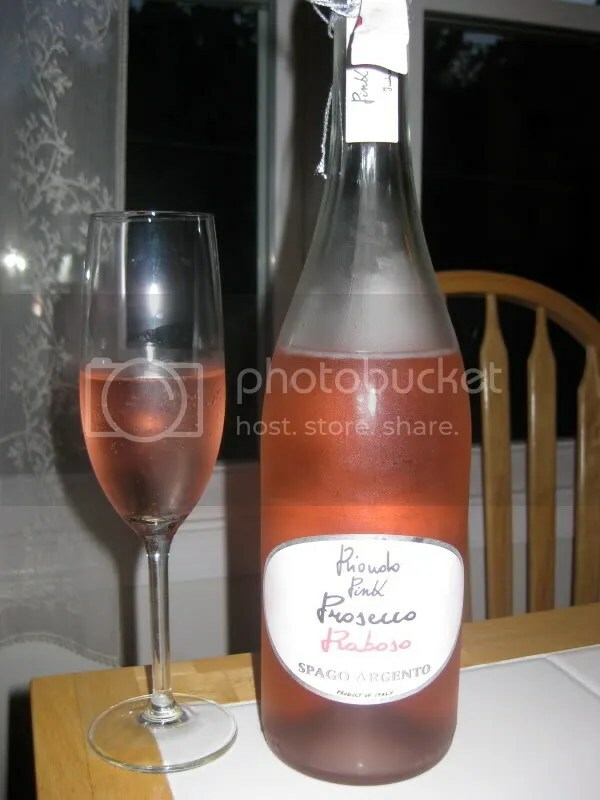 I picked up the Riondo Pink Prosecco at the Madison Wine Exchange. I think it cost about $13, weighed in at 10% alcohol by volume, and had a cork closure. 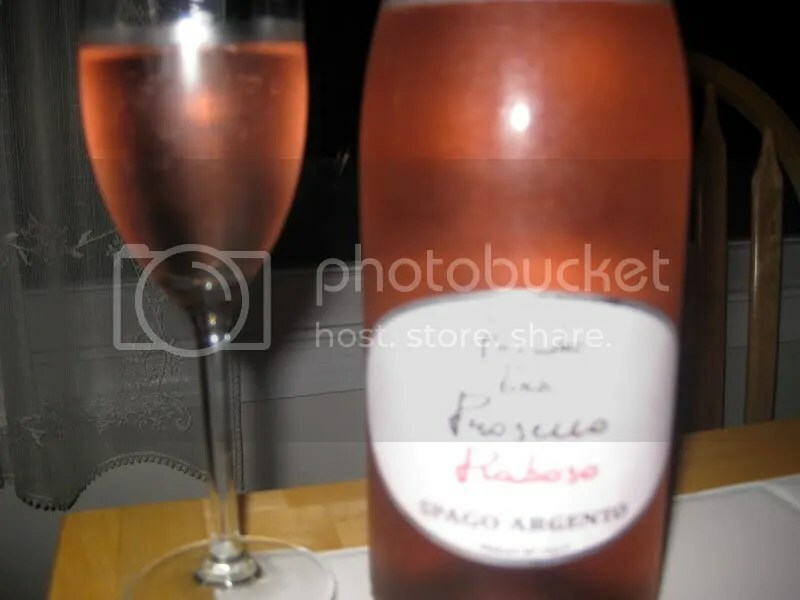 Earlier this year I’d tried the Riondo Prosecco and found it to be pretty good especially given you could buy it for $10. So I pretty much expected a decent inexpensive bubbly…nothing to ponder too long, but at least something worth drinking. While I loved the color on the wine, I found the nose to be waxy, with strawberry and candy and nothing else. It had extremely tiny bubbles and not in the good these bubbles are tiny and there are lots of them kind of way…in the, these are tiny bubbles and there are hardly any of them kind of way. In the mouth, the wine was overly sweet, with not enough bubbles, some candied strawberry and pomegranate. I ended up thinking it wasn’t worth the calories so I dumped it. 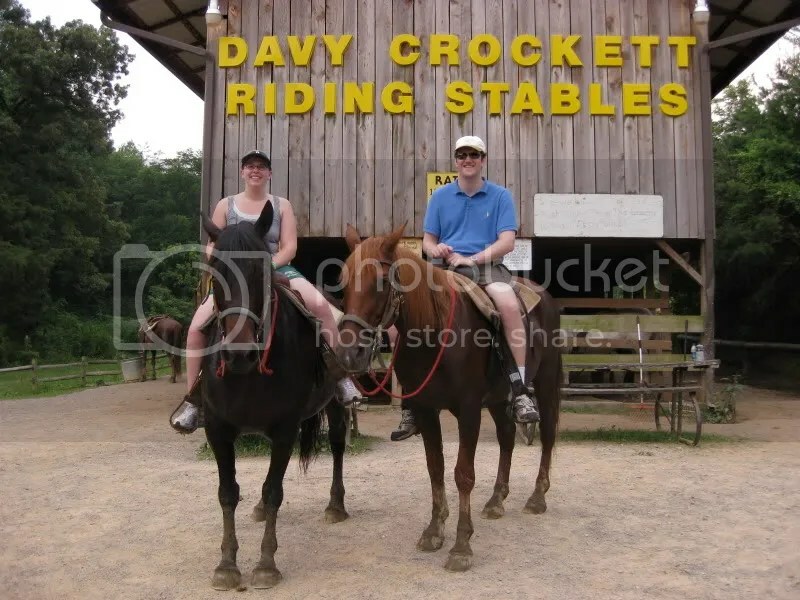 Especially after a long hot horseback ride in the Tennessee Mountains! On our recent vacation, this bottle met my criteria of being low alcohol and supposedly having a cork I could remove without a corkscrew. Well, that last bit was TOTALLY wrong, but the rest worked out! I removed the foil from the bottle only to discover that it had a real cork, not a Champagne closure! Oops! Thankfully I found a corkscrew in the cabin. The wine I picked as a pick-me-up after a tiring day? The NV Riondo Prosecco Frizzante from Italy. It clocked in at 10.5% alcohol by volume and cost me $12.99 at a shop close to work. I see you can buy it for $10 on the internet, which is a fabulous deal! On the nose I got flowers, lemon, honey, pear, apple, and bread. In the mouth I found pear, green apple, a touch of honey, and apple cider. This isn’t a complicated wine or one to ponder but for $10, it’s a great sparkling wine at a low alcohol content that would go great as a before dinner drink or just to sip on the porch on a hot day. Drink up! As we know from some past WBWs, the world is full of Bubbly that is not Champagne. 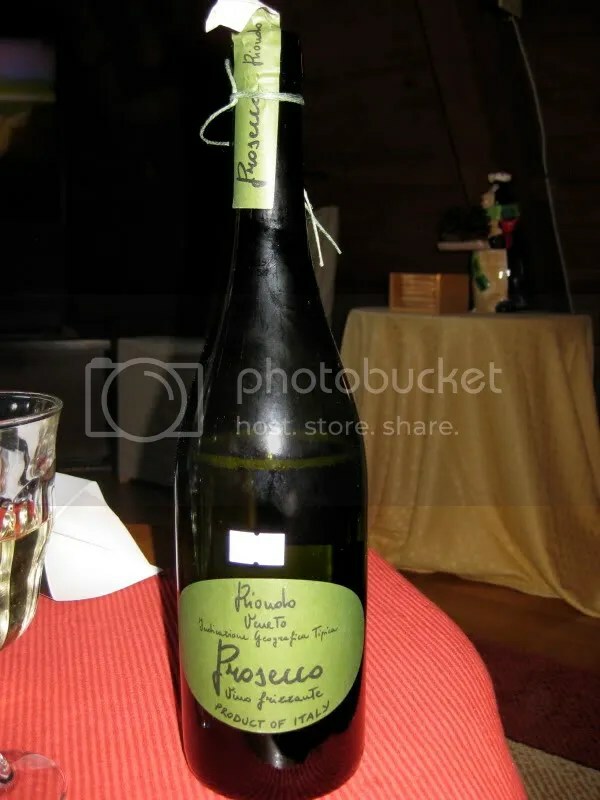 One of my favorites for value and quality is Prosseco from Italy. 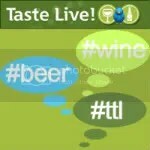 I also love it for its low alcohol content. This bottle was a Mionetto Valdobbiadene Prosseco Brut. I picked it up at MV Wine and Spirits in Madison, CT for $10.95 (I see it online for between $13-$20), it clocked in at 11% alcohol by volume, and had a typical sparkling wine closure. On the nose I found green apple, honey, and and overall “fruity” aroma. In the mouth the wine has apples, peaches, and lemons. The wine had nice bubbles, it was crisp, and tart. This was a fun and easy sparkler and an excellent value!